April 6, 2015 2 How Many Calories Do I Need To Burn To Lose 1 Pound? Pounds or Inches Lost: I lost 228 pounds and 21 inches (from 60 to a 39 waist size)! 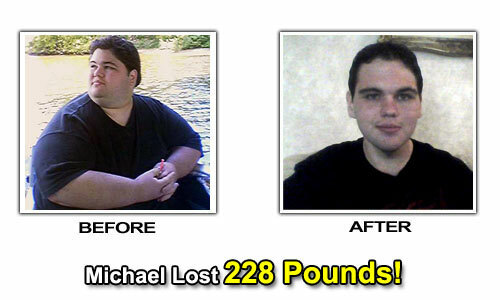 Michael’s Weight Loss Story! Since I was 14 years old. 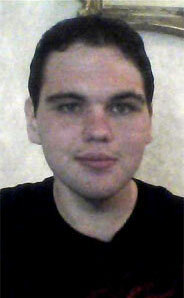 I turned 21 and decided to turn my life around and I wanted to be attractive to women. My diet and activity level. I was addicted to food and the first month it felt like I was going through withdrawal symptoms. 1 year and 24 days. I’m still losing weight. I’ve been at 222 pounds for 2 days now. People don’t stare at me anymore and I can fit in seats and desks now. I talk to a lot more women now and I can buy clothes at department stores. I just joined ShapeFit.com and the weight loss stories are really inspirational. Eat ground turkey instead of beef. Drink diet Sunkist. It’s the best diet soda available. Use the elliptical machine because it burns calories like crazy. Bench press twice a week. Play sports. They are fun and burn calories like crazy. Michael’s Weight Loss Eating Plan! Bowl of corn flakes with no sugar. Turkey sandwich on wheat bread with lettuce,tomato and mustard (no mayonnaise). I also have an orange. Turkey burger on wheat bread and some corn. Fruit like grapes, apples or oranges. 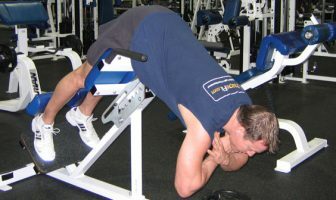 Bench press and all the machines at my gym. Elliptical machine, stepper or treadmill for an hour. I also play full court basketball and 9 on 9 football on the weekends.